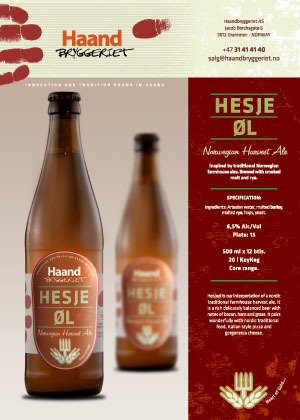 Inspired by traditional Norwegian farmhouse ales. Brewed with smoked malt and rye. 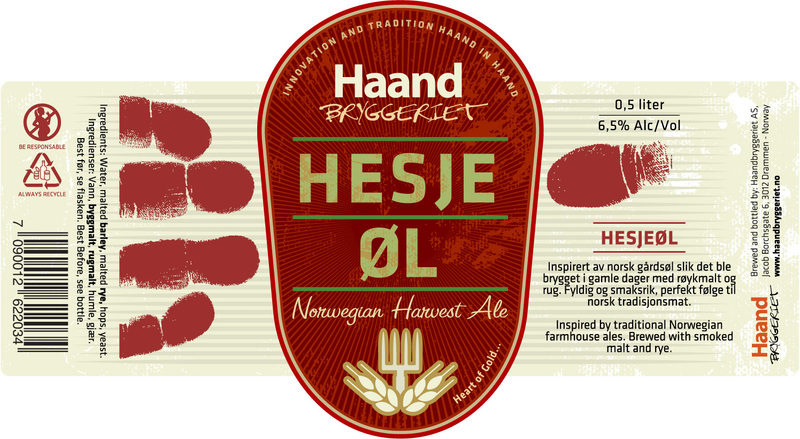 Hesjeøl is our interpretation of a nordic traditional farmhouse harvest ale. 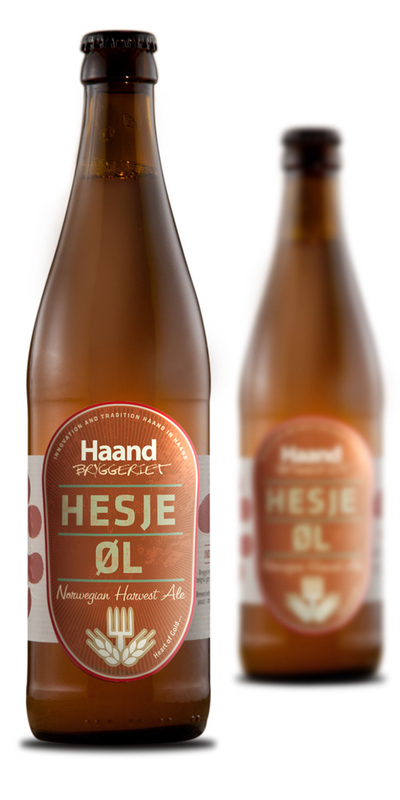 It is a rich delicately balanced beer with notes of bacon, ham and grass. It pairs wonderfully with nordic traditional food, italian style pizza and gorgonzola cheese..
Artesian water, malted barley,malted rye, hops, yeast.